Now that we have breezed through the summer and already into November with the holidays quickly approaching, your team probably has already started looking towards the 2018 plans. And, our hope is to convey the necessity for your job board to add SMS to your job board. With an abundance of industry statistics, market trends and simply common sense, it is no wonder SMS is the hot word in recruitment. For job boards, SMS provides you a number of advantages. Get ready for some staggering statistics that will get you ready to turning your attention to adding SMS to your site. According to the 2017-2018 Global Recruiting Site Trends Survey, that approximately 15% of job boards offer job alerts via text message. Daily Mail survey of 2000 mobile phone users, the average user looks at their phone 221 times per day. That’s once every 4 minutes and 18 seconds! We stare at our screens for an average of 3 hours per day – or 18.9% of the time we are awake. Text messaging has a 45% response rate, while email only has a 6% response rate – that’s over a 7x higher response rate. According to CTIA, it takes the average person 90 minutes to respond to an email– but only 90 seconds to respond to a text message. That’s nearly 60 times faster! The Pew Research Center found that for frequent texters, 55% prefer to receive a text message instead of a phone call. 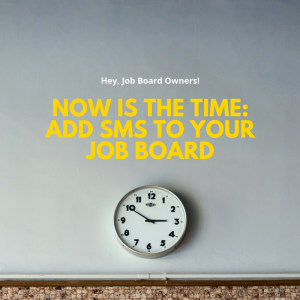 Considering that as a job board you are routinely looking for new opportunities to monetize your site, improve user engagement, speed up response time and deliver quality candidates, SMS is the next step to differentiate your job board to the market. Here at JOBartO, we set off to build a white-label job board platform designed with marketing automation and advanced technologies such as integrated email and SMS capabilities to assist job boards will competing in the tough recruiting landscape. 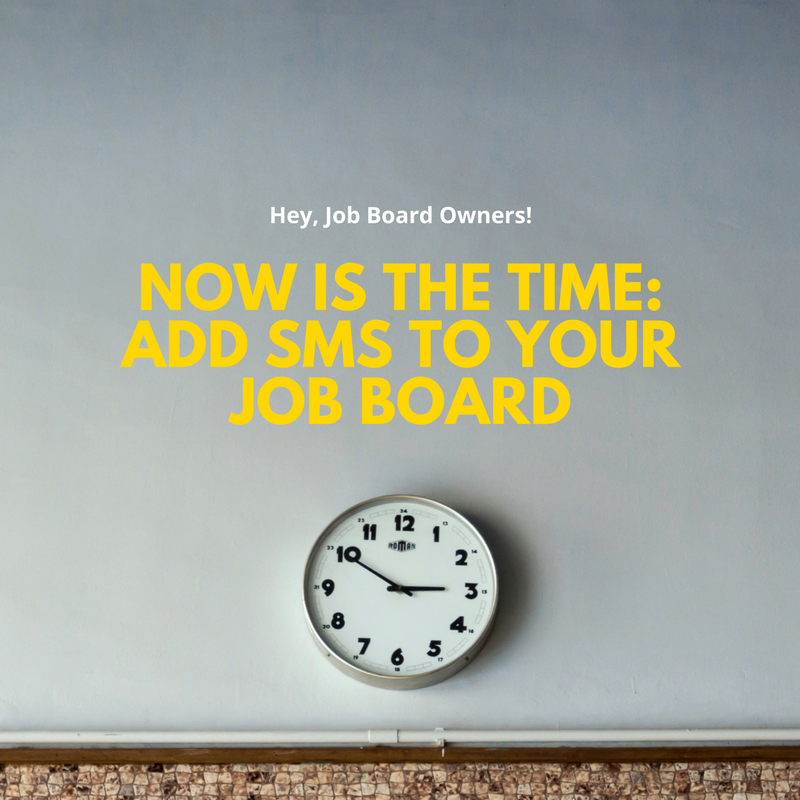 If your job board is interested to learn more about SMS and how the JOBartO team is addressing this opportunity, click here to contact us. Good luck job board owners! Join over 10,500 people who receive monthly recruitment tips and information. We are here to answer any questions you may have about our job board technology. Contact us and we'll respond promptly.